Opportunistic foragers, peacocks consume fruits, grains, invertebrates and small vertebrates in the wild. Technically called peafowl, as the term peacock refers to male peafowls while peahen refers to females, captive individuals consume similar fare. A commercially produced pellet food should form the bulk of the die. But also provide your pet regularly with supplemental grains, vegetables and insects to ensure the diet is well rounded. 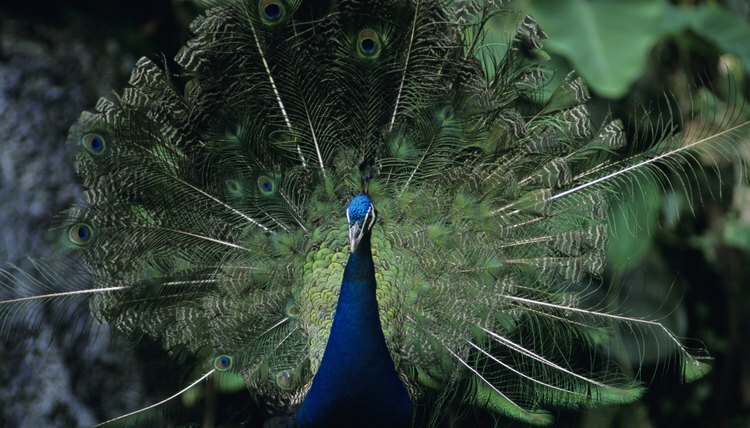 Try to provide your peafowls with a diet specifically formulated for the species. If you cannot find such a formulation, the Nelson Road Veterinary Clinic in Longmont, Colorado, recommends using diets designed for pheasants or turkeys rather than chickens. An appropriate commercial feed should comprise one-third to two-thirds of your birds’ diet, with the remaining calories coming from bugs and plant matter. Offer each bird about one-quarter cup of commercial mix each morning and provide a slightly larger quantity each evening. 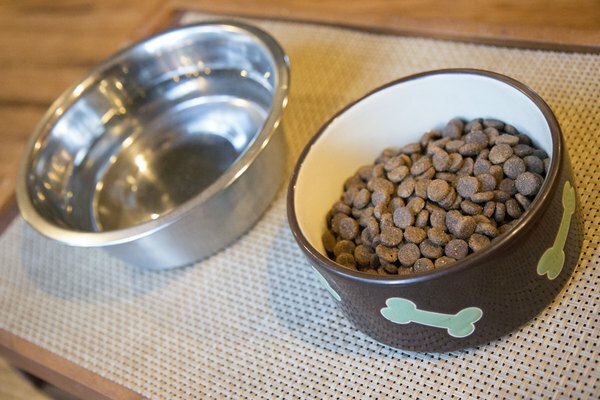 You can also offer your peafowl small amounts of high-quality dog or cat kibble, for a high-protein treat. Peafowl scavenge flowers, fruits, leaves and other plant parts while they mosey about during the day, but you should supplement their daily meals with a variety of fruits and vegetables as well. Place a handful of mixed fruits and vegetables, including foods such as green beans, corn, chopped carrots, berries and shredded leafy greens, in with your peafowls’ evening food. Different individuals exhibit different fruit and vegetable preferences, but most are opportunistic eaters, who will quickly consume anything they suspect is edible. 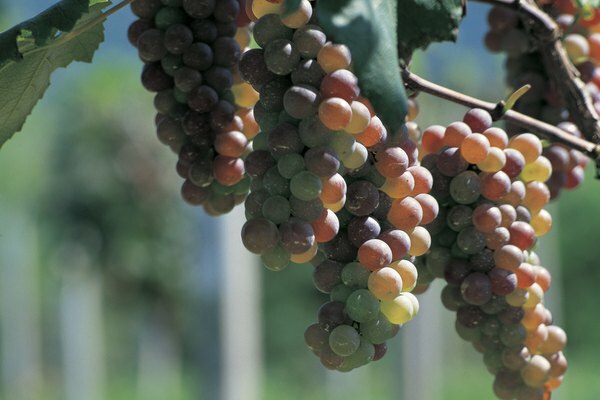 For example, the peafowl living at the University of Western Australia have developed a fondness for grapes, bananas and peaches, for which they forage on the university campus. While you need not provide your peafowls with snakes, lizards and rodents, which are all-important food sources for wild birds, you must provide them with insects and invertebrates. The birds will likely capture and eat bugs during their daily activities. Supplemental insects, offered once or twice per week, help ensure your pets obtain the best diet possible. 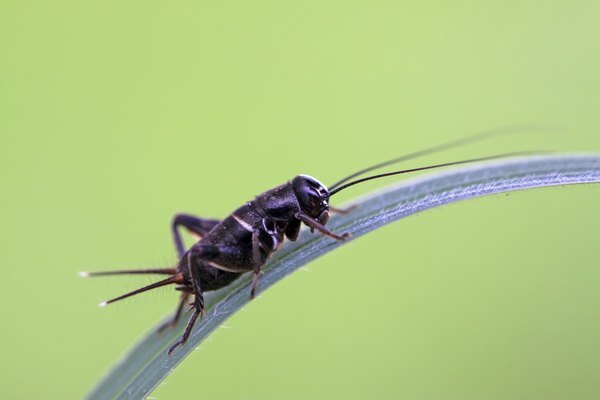 Crickets, mealworms, superworms, wax worms and earthworms are all acceptable food items. Obtain your feeder insects from a reliable source to reduce the risk of parasites. In general, the more diverse their diet, the healthier your pet will be. 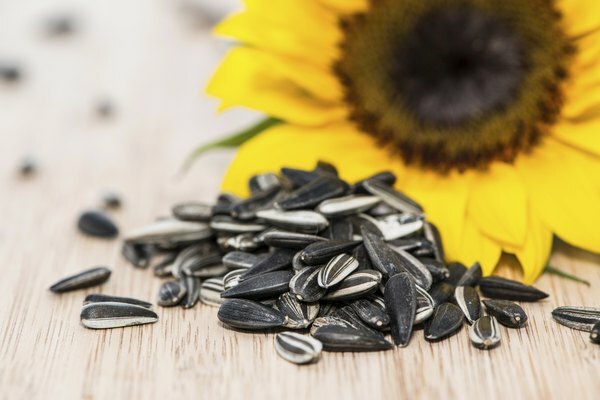 Offer your birds peanuts, sunflower seeds, safflower seeds and true nuts, but these high-fat snacks should only make up about 5 to 10 percent of their diet. Chopped, hard-boiled eggs provide another nutritious dietary item, but they should be offered in moderation as well.